It’s hard to believe I’ve brewed 30 beers (by the time I write this, 32) over the past few years. 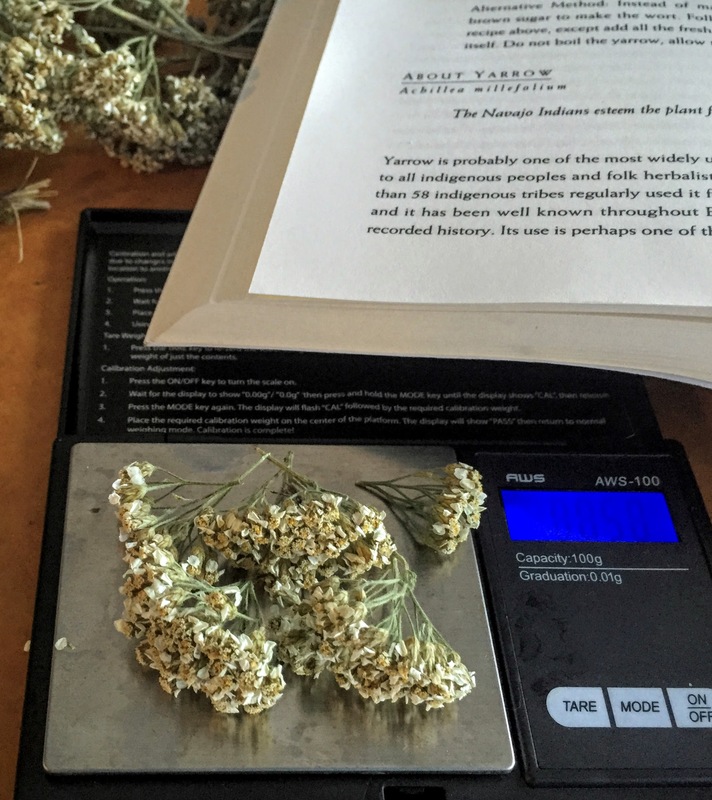 For this one I continued down the esoteric “sacred and healing herbal beers” route I’d started with the yarrow beer and brewed a gallon of beer with some wild mugwort foraged from the Oakland hills filling the role of the bitter, aromatic, antibacterial(?) herb instead of hops. It’s related to wormwood (used in absinthe) and has some hints of similarity in taste– and is almost unbearably bitter on its own. The “ancient beer” recipe I read was basically sugar and mugwort fermented, which didn’t sound pleasant– fermenting sugar is an easy way to get a hot, harsh alcohol. So instead I brewed a basic all-grain beer recipe I’d use for a pale ale (pale malt, a little wheat, a little rye, and a neutral dry ale yeast), mashed at the low end of the temperature range (149F) to hopefully give a dry beer, but replacing the bittering, flavor, and aromatic hop additions with mugwort. I just made one gallon since it’s both simpler to do stovetop and I expected the outcome might be… challenging, and bottled mostly in the 187mL champagne split bottles I’d picked up a few months ago, making it easier to just crack open a half-beer to taste it (in addition, the UV-driven rapid skunking of regular beers in clear bottles shouldn’t be a concern as that’s a reaction with the hops). And, a month later, the result, bottled– as usual having some fun with the labels: sunprint paper to expose photograms of some mugwort leaves, filled in with a silver paint pen loosely inspired by 60s psychadelic band posters. Oh, and the beer? 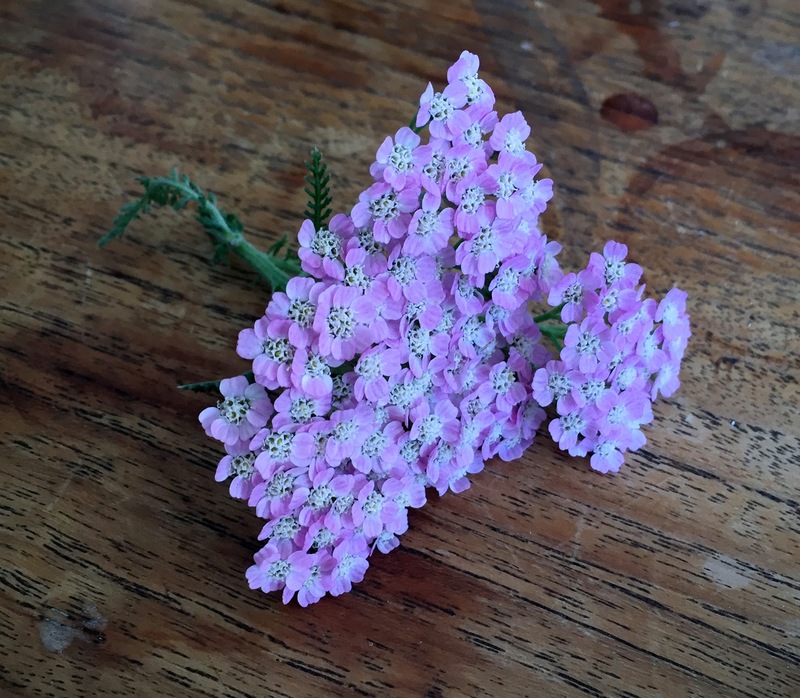 It had a slightly-greenish yellow tint, with a tart slightly lemony and herbal smell– and a distinctive but intensely basically-undrinkable bitter punch in the face. I enjoyed sipping a bit of it like an apertif/digestif or fernet, but I have an unusual love of and tolerance for bitterness. 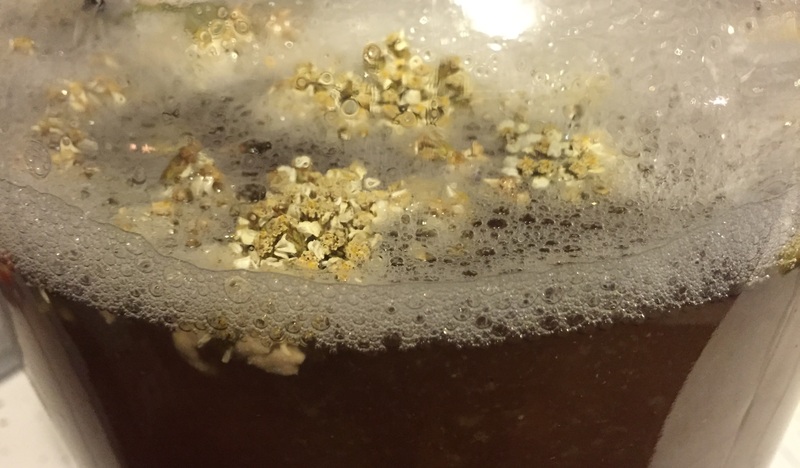 It actually worked well splashed into soda water like a bitters rather than consumed straight, so I’ll save most of them as a cocktail mixer– and if I made it again I’d take a much lighter hand on the mugwort or combine it with other herbs or hops. They ran the gamut of beers (kit, extract, and whole-grain, traditional and not (aged-on-fruit, wild plants in lieu of hops)), and ciders (apple, pear, wild fermented and brewed with controlled ale yeasts). As usual, I had the strangest and lowest-rated brews (a punishingly bitter vaguely absinthe-like Mugwort ale) but also a few more pleasant ones (both takes on a Grisette were popular). 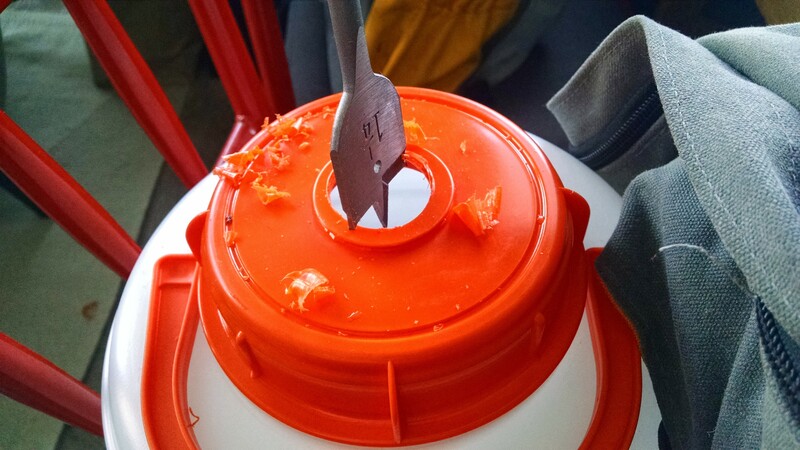 My sister’s apple-pear cider made from a variety of roadside drops was my personal favorite. Before hops became a key component of beer around the 14th century, beers were brewed with a range of herbs serving the roles of bittering agents and source of antibacterial / preservative compounds (a broad style, “gruit”, which has been enjoying a very minor revival). I tried using them like hops– with 0.3 oz / gallon 60 minutes for bitterness, plus a similar amount for “dry yarrowing” (e.g. thrown in the primary fermenter after cooling for more flavor/aroma than bitterness). The wort going into fermentation wasn’t terrible– a bit tart/herbal from the yarrow, a nice smell — this might not be a total disaster. 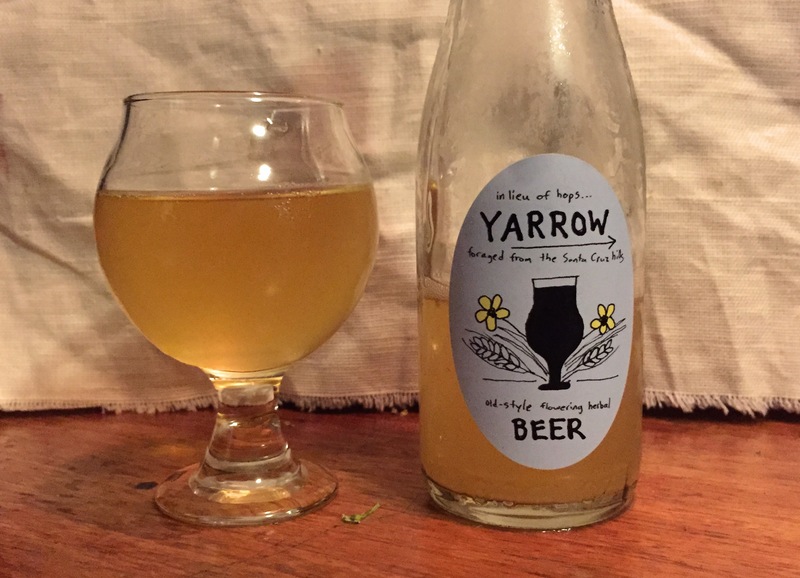 About 6 weeks later, after fermenting, cold crashing, bottle-conditioning, and the obligatory label-making (see above), I poured a small glass of the dark straw-colored, very effervescent beer, with a very distinctive woody, spicy smell (like sage? really, something of its own) and a complex herbal, slightly bitter, tart taste– almost like a pile of dry leaves and lemon peel. Fascinating! 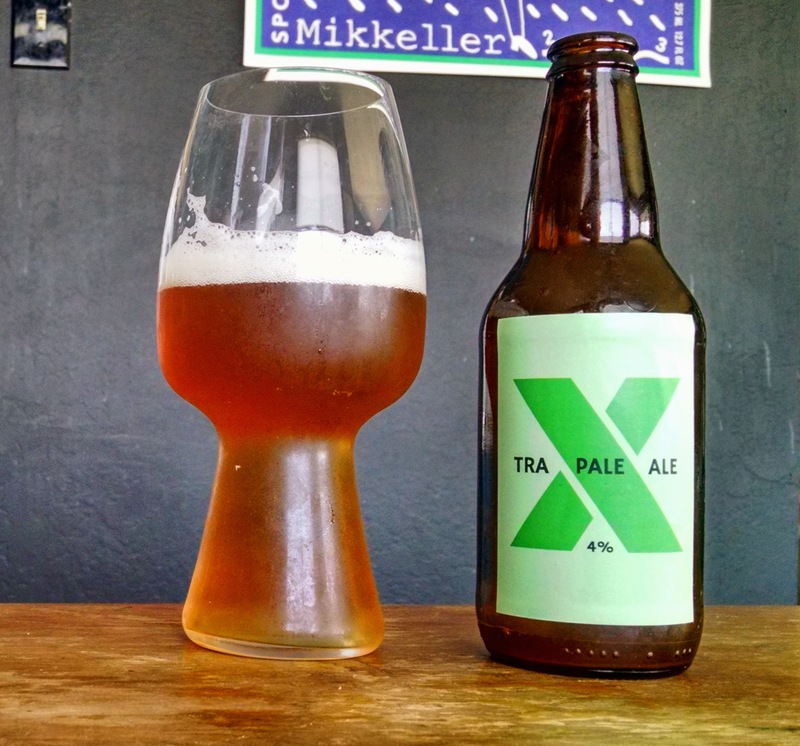 More than that– I’d even say I like this beer and wouldn’t be disappointed to pay for it. 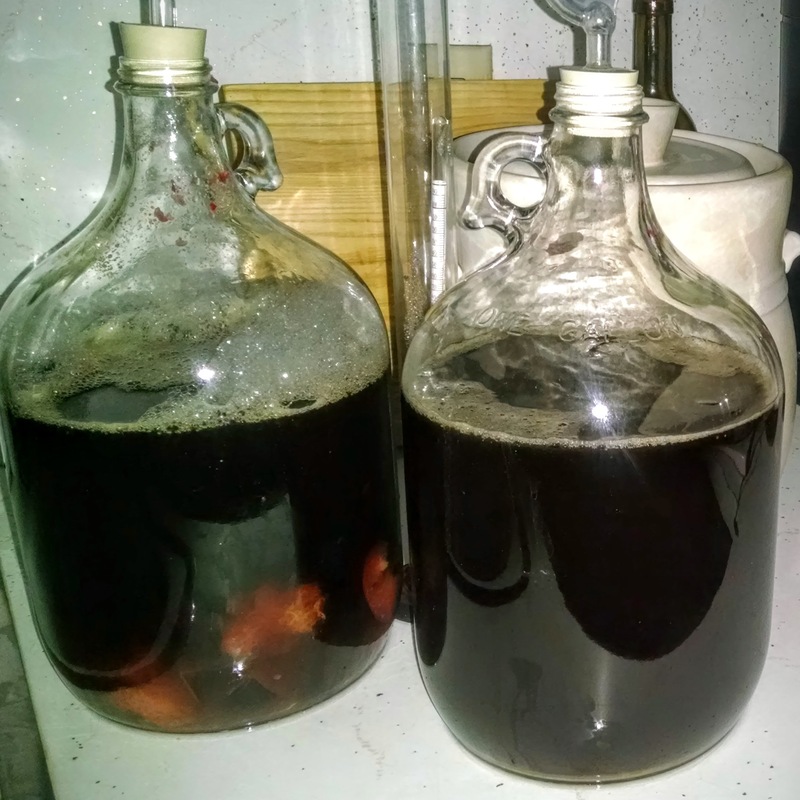 That’s an unexpected success– too bad I only brewed about 9 bottles of it. 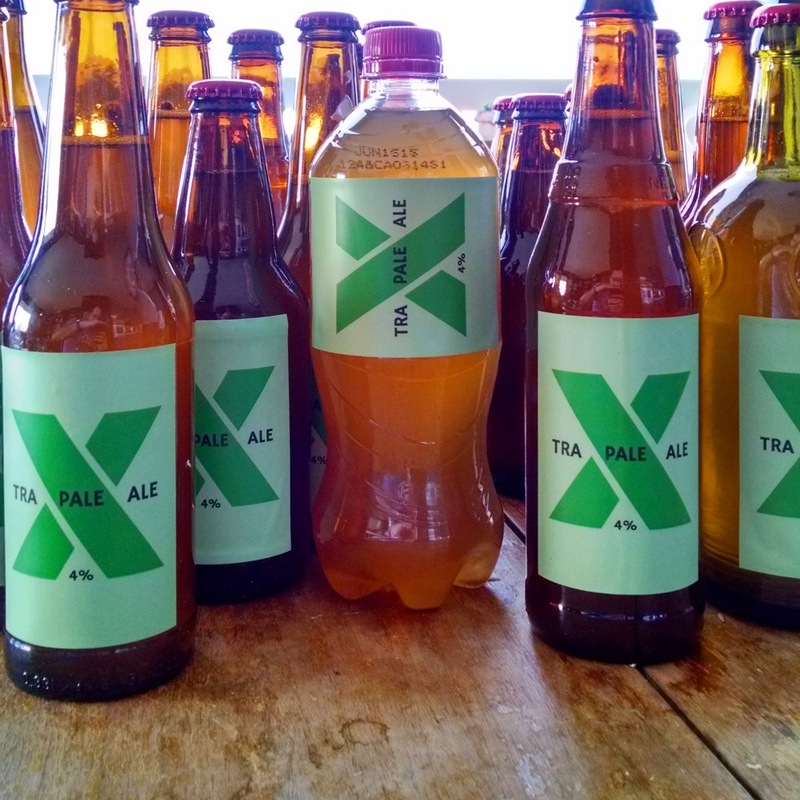 The base beer didn’t really follow any particular style, but it’s probably closest to a dark version of a tripel– it used only base malt (primarily amber malt extract) and caramelized invert sugar* (a.k.a. dark belgian candi sugar), and very minimal hops. *Invert sugar is a mix of the very simple sugars glucose and fructose, created by heating sucrose (table sugar) in the presence of acid to break it down: C12H22O11 (sucrose) + H2O → C6H12O6 (glucose,) + C6H12O6 (fructose). The idea behind using it in brewing is it’s very easy for yeast to metabolize, making it possible to bump up the alcohol level in the beer without making a heavily malty beer (since almost all of the invert sugar is converted to alcohol). Brewing went as planned, but I’d read that to avoid excessive esters, the Belgian yeast I’d bought (WLP500, rumored to be grown from samples taken from the Chimay brewery) behaved best if kept at a lower temperature for the first day or two of fermentation (since the yeast generates so much heat during the rapid initial fermentation– especially working on a wort heavy in easily-fermented sugars– that it can easily raise the wort temperature 10-15 degrees). 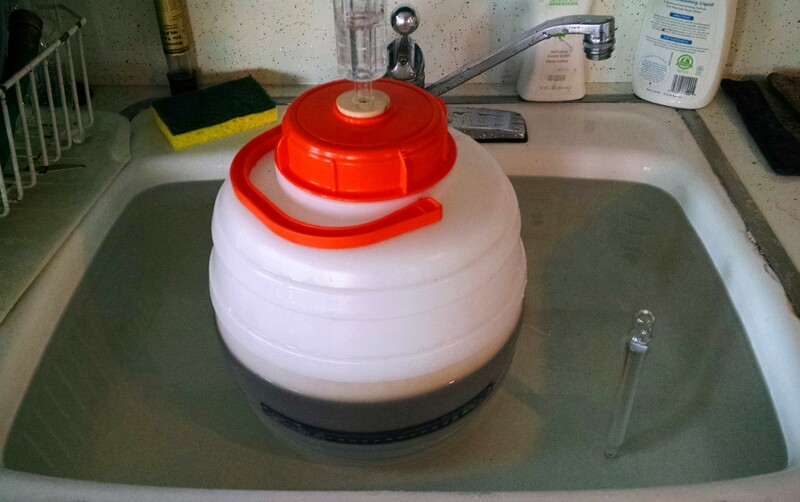 Lacking any high-tech brewing apparatus, I kept the fermenter below 70F in a sink of cool water for the first two days, then took it out for the rest of the fermentation. It picked up heavily around the third day, and was actively bubbling for the next 7 days — a long primary. After two weeks, the wort had fermented down from a specific gravity of 1.090 to 1.011, producing what should be a 10% ABV beer. 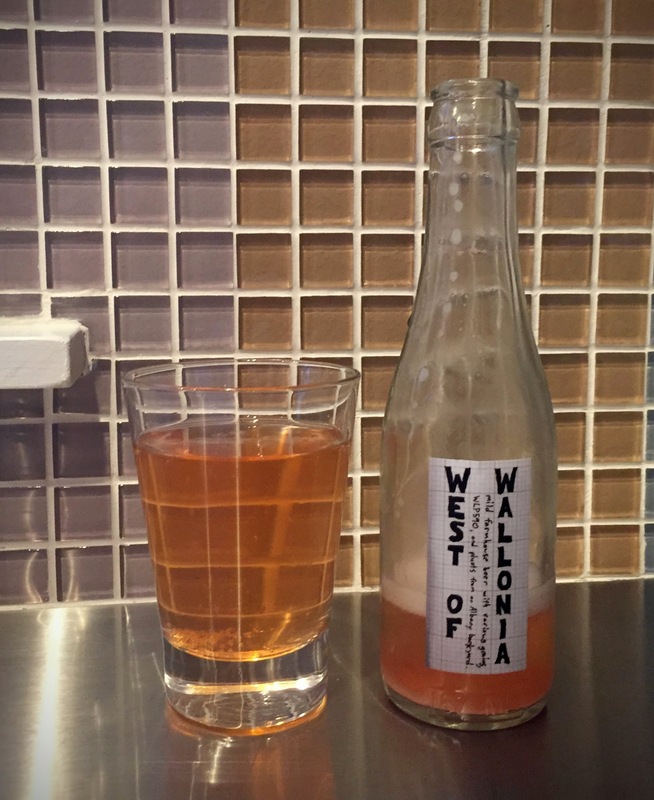 I tasted it and was a bit concerned– it was a bit “hot” (solventy), with some brown sugar sweetness and bubble gum and clove esters– an exaggeration of the Belgian style. Patience, patience… Belgian-style beers are expected to age for months, and the point of this was to balance it with other flavors. 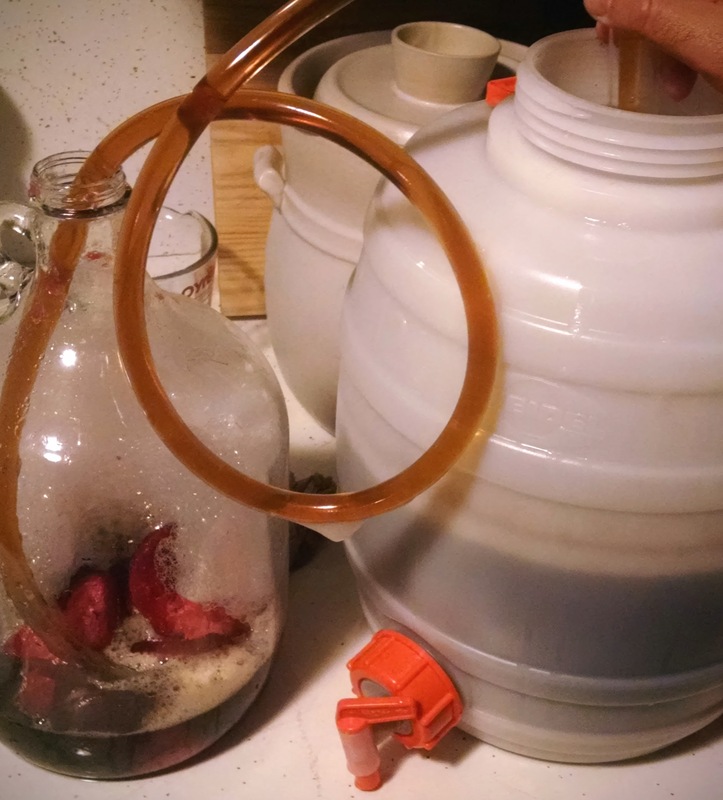 At this point I siphoned it out into two sanitized glass jugs. One had a pound of ripe pluots (halved, pits and all), and the other had a third of a spiral of toasted oak that had been soaked in rye whiskey for 5 days. I finally tried the carbonated beers for the first time about two and half months after brewing, and they were quite different (and much improved from the primary fermentation sample). Both were strange, interesting, I might even say “not bad” (if not what I think of when I think of beer), and I’ll see how they change over time. The beer aged on oak was very “umami”– an aroma reminiscent of miso or soy sauce, and a taste that made me think of a brandy infused with shiitake mushrooms and a bit of caramel. The alcohol was clearly there, but the hints of solventy heat were completely gone. I’m glad I’d bottled this in tiny 187mL (7oz) bottles, as this is something I could imagine sipping from a small glass. The beer aged on pluots was excellent– a powerful sugar-plum aroma, but a taste that was more tart, like a not-too-sweet pluot cordial. It drank well on its own, but also worked well cut with soda water to make a bit more of a spritzer (or, as someone who shall remain nameless said, “wine cooler”). I’ve homebrewed in my tiny kitchen 15 times since becoming interested in it two years ago (20 brews if you count split experiments)– that’s a nice round multiple-of-fingers-per-human-hand milestone. I still enjoy the process and (usually) the result, so I’ll probably keep doing it… though I have no desire to scale up in volume. 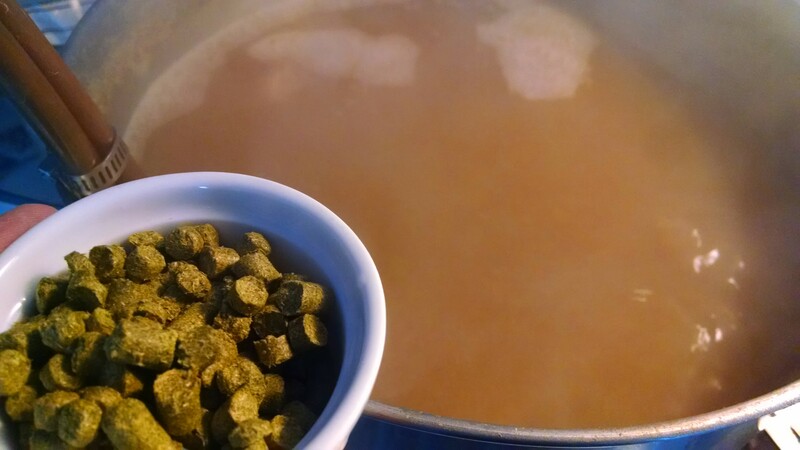 The general brewing rule of thumb is that hops early in the boil add bitterness, hops late in the boil add flavor, and hops late in fermentation (“dry hopping”) add aroma. A few brewers make “late hop” IPAs and pale ales where most of the hops are added late in the boil. You need more hops for the same amount of bitterness for the hops so it’s a more expensive way to make beer, but at a homebrewing scale that’s not as much a concern. 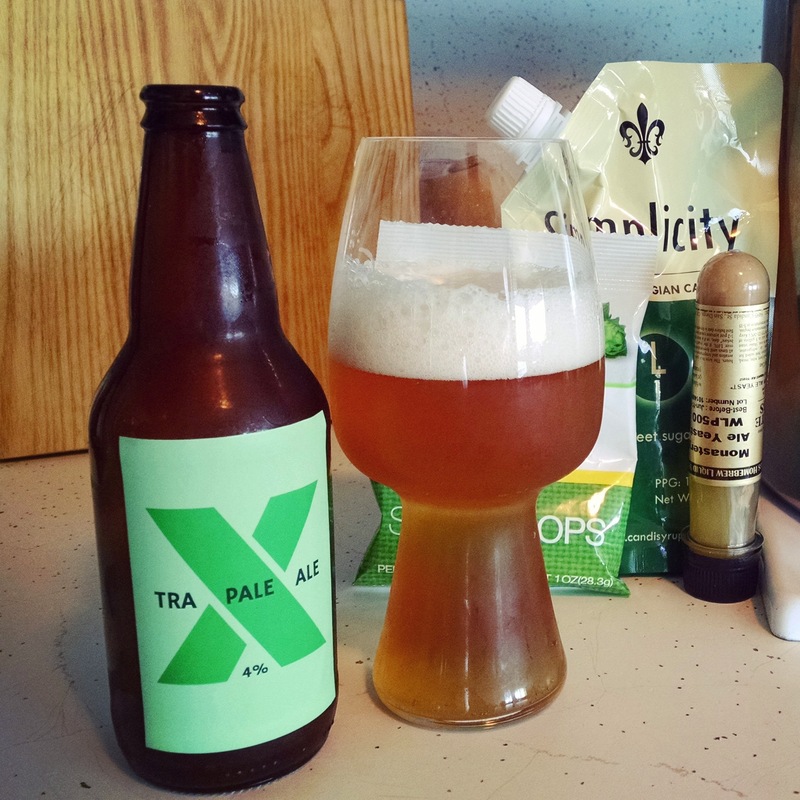 I’ve often seen these done in the context of an IPA, because alcohol, maltiness, and bitterness balance each other, so heavily-hopped beers are also often higher in alcohol. For a while I’ve wanted to make a good session (low alcohol) beer, but it’s hard– there’s not as much alcohol or malt flavor, so the beers can be on the thin and boring side, and there’s also not enough alcohol to balance out the bitterness of significant hopping. So what if I make a heavily-hopped session beer based on only late hop additions (late boil and dry hopping), to avoid this? Overall this involved 4.5 oz of hops for a 2.5 gallon batch, equivalent to 9 oz of hops in a 5-gallon batch– this would normally be an exorbitant level of hopping for anything but a strong IPA, but with most of this as late hopping and dry hopping it was more reasonable. I chose Amarillo as my usual go-to hop for IPAs and pale ales– an unusual slightly tangerine/tropical/grapefruit flavor I’ve always liked, along with Citra (classic modern pale ale hop with some citrus) and Perle (slightly spicy). 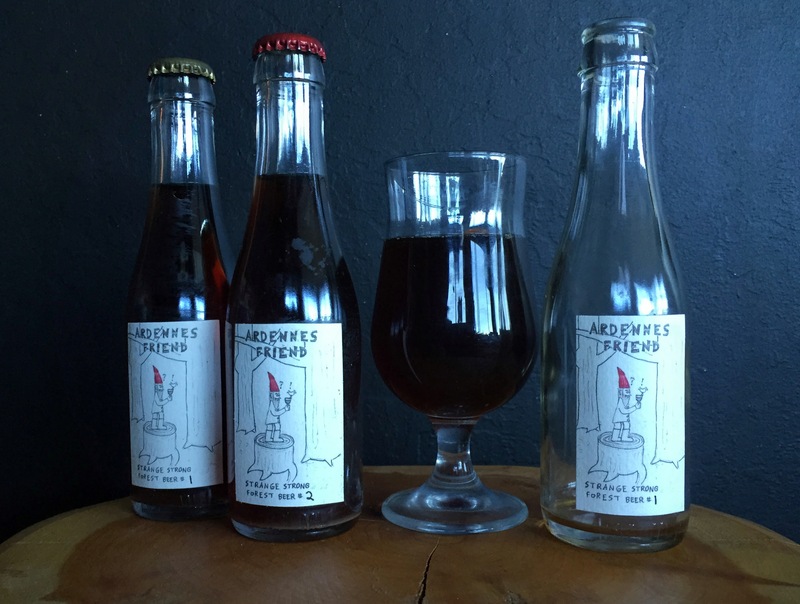 I bottled one in an empty soda bottle (the Dr Pepper bottle Francisco had with him) as a ‘carbonation canary’– to squeeze by hand later to judge how carbonation’s progressing– with a small batch I don’t want to crack open a beer each week to check. A good, flavorful beer for something that’s only 4% ABV. If I made it again I’d probably go a bit less dry (e.g. slightly higher mash temp or Crystal grains for some unfermentable sugars), and add some flavor hops at 0 minutes or even 5-10 minutes after the boil ended and let the hops steep a bit more before moving it to the fermenter, and maybe let the dry hopping sit a few more days.